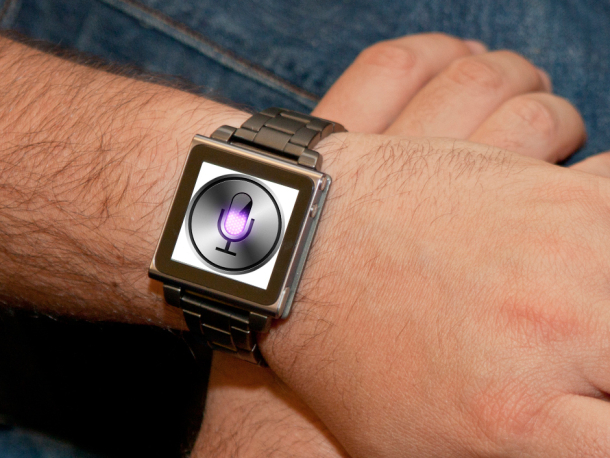 Rumored about Apple’s ‘iWatch’. Apple’s got a shot at blowing us away with its take on the smartwatch. At this point, it’s really not a matter of if Apple releases its long rumored iWatch, but when. The latest rumor now calls for Apple’s eventual device to incorporate a plastic OLED screen that can bend, as well as for models to arrive in three different sizes: 1.3-inch, 1.4-inch, and 1.5-inch. A prototype of the 1.5-inch version has already been made, according to Korean publicationChosun, citing unnamed industry sources. Given the tepid reception for Samsung’s Galaxy Gear and the modest adoption of other smartwatch projects such as Pebble Watch, the door is wide open for Apple to revolutionize this area. These companies demonstrate that there is indeed interest in this kind of “wearable” technology. If Apple employs its usual polish and finish on a smartwatch, that timepiece could be its next hit product. The latest rumor comes as Samsung prepares Galaxy Gear for launch in the US on Friday. The Gear has garnered mixed to negative reviews, with many critical of the device’s lack of capabilities, its price, and the limitation of working with only the Galaxy Note3 (as well as a single Samsung tablet). Samsung said it plans to open up the compatibility to other Samsung phones down the line. Given how quickly Samsung put together Gear, it’s still an impressive first attempt at a smartwatch. And undoubtedly the company will follow up and improve upon the first Gear. But for now, it’s not ready for prime time. The Pebble, perhaps the best known smartwatch before Samsung came around, remains more of a tinkerer’s toy — a cool project that’s at the peripheries of the mainstream. Meanwhile, Sony talked up its SmartWatch 2 earlier this year, though the expected September release date has come and gone. It’s not like this would be the first time Apple came in and swept up the market with a greatly enhanced product that redefines a category. The company did it to MP3 players with the iPod, then again to smartphones with the iPhone, and yet again to tablets with the iPad. While rumors persist of Apple revolutionizing the television, it seems the wristwatch would be an easier product to introduce, as a companion to the juggernaut iPhone. There have been increasing questions about whether Apple can still innovate, but a polished smartphone would seem like a slam dunk. Given the muted reaction to the existing world of smartwatches, the road is paved for the iWatch. Apple just needs to wow us one more time. September 10 Apple to unveil new iPhone ?